I’m always on the lookout for new and interesting recipes that not only bring together some of my favorite flavors, but which put an interesting and unique spin to boring old boneless, skinless chicken meat. For my meal plan this week, I had two large bs-less chicken (yeah, there’s got to be a better way to abbreviate that!) in the freezer. I knew I wanted to do the Chicken Cordon Bleu recipe again, but I also wanted to try something a little different. 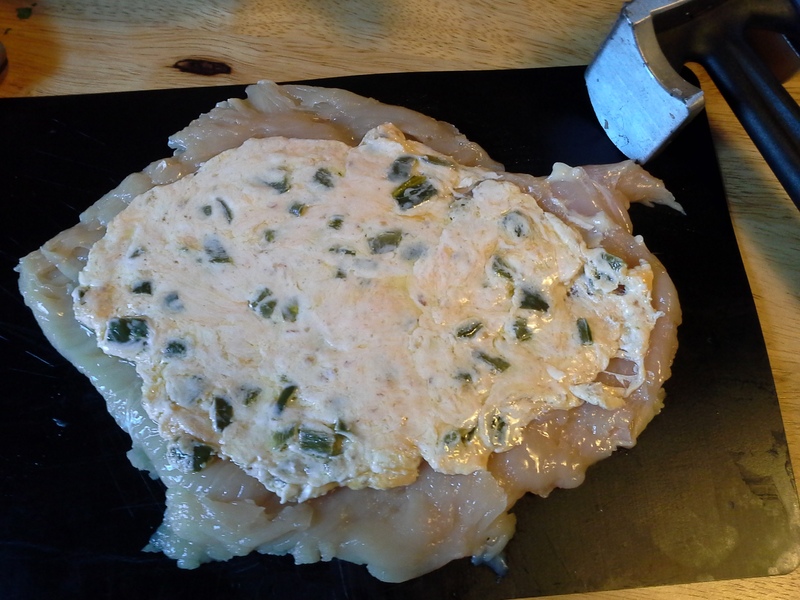 I’ve been seeing recipes around for jalapeno-popper chicken, so I figured this would be a good time to experiment with it. This one definitely goes in my top ten—maybe even top five—favorite dishes that I’ve made since I started low-carbing. Cut stem off of jalapeno, then cut pepper in half lengthwise. Remove seeds. For hotter peppers, retain white “ribs”; for milder, remove as much of the white part as possible. Chop into small pieces. 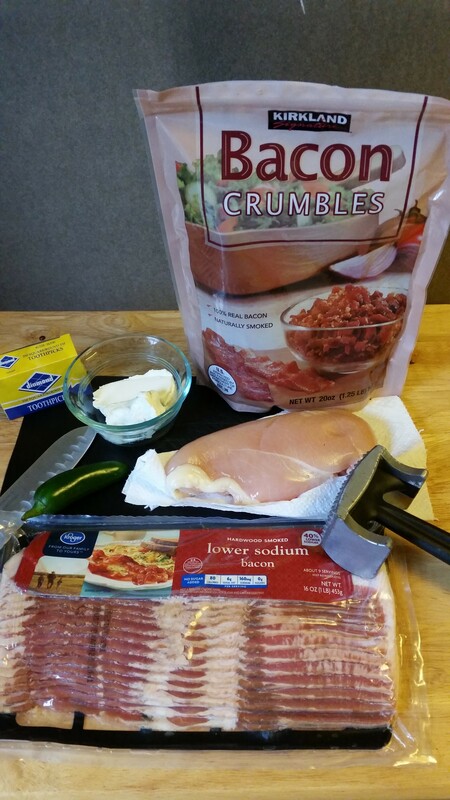 In a small bowl, combine softened cream cheese, jalapeno, and bacon bits. Stir until well-combined. Set aside. 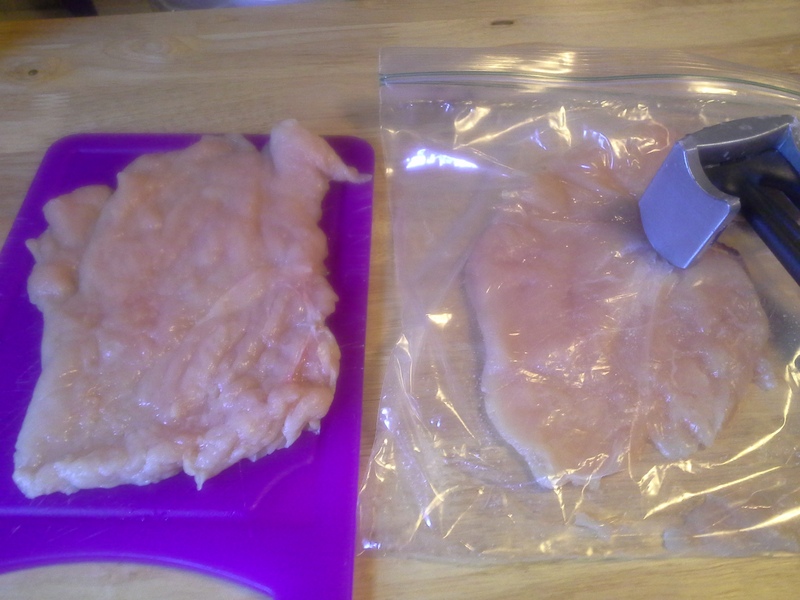 Place one piece of chicken in the zip-top bag and, with the smooth side of the meat mallet, pound out to about 1/3-inch thickness. Remove from bag and spread out, rough-side up, on cutting board or plate (for easier/more sanitary cleanup later). With the spoon you used to stir up the cream cheese mixture, or with your hands if you prefer, spread the cream-cheese mixture all over the inside of the chicken paillard. On another easily cleaned surface, lay four* pieces of bacon side-by-side lengthwise (*two if doing smaller/individual rolls). Roll up the chicken, with the cheese inside. 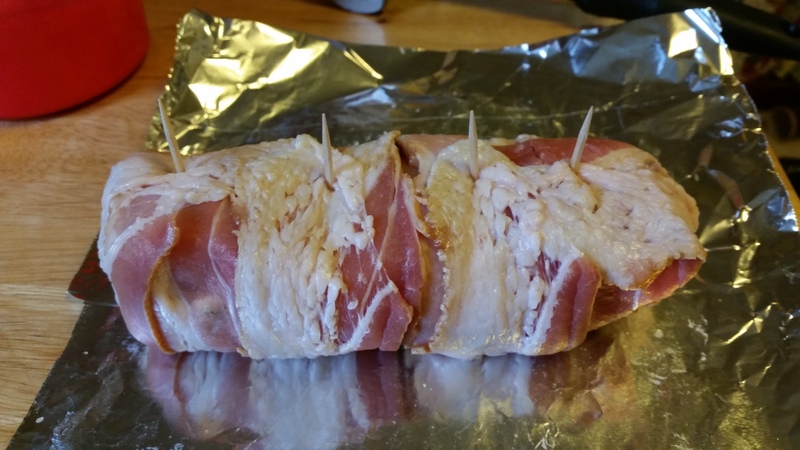 Carefully move the chicken roll to lay across the bacon, so that about an inch or so you can see about an inch or so of bacon above it. 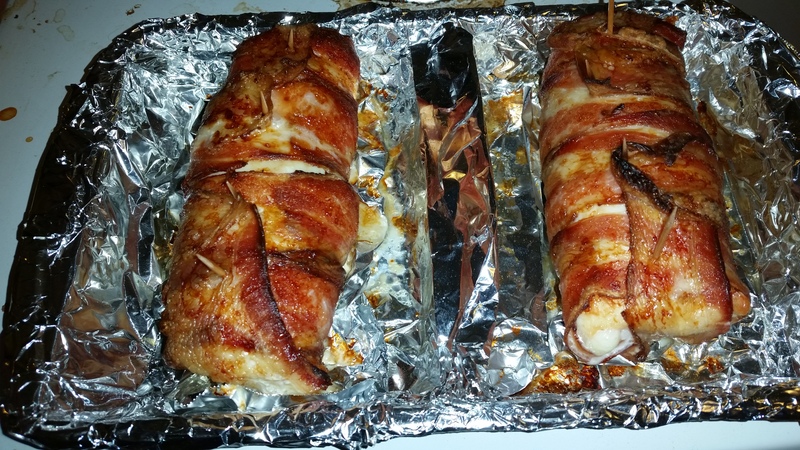 Grab those ends and pull up around the chicken and continue to roll until about 1.5 to 2-inches of bacon remain. Take the end of the piece of bacon on the left and pull it around to the side it to cover the left end of the roll. Do the same with the right side. Pull the remaining two pieces up so that their ends overlap the ends of the pieces now covering the sides of the roll. (Sorry I didn’t photograph this process—my hands were a bit greasy at this point.) Secure roll with four toothpicks to make sure the ends of all four pieces of bacon don’t shift. Bake 22 minutes. Set oven to broil. Broil top for 4 minutes; turn roll over and broil bottom for 4 minutes to crisp up bacon all the way around. Let sit several minutes before serving. One 2-serving-size Jalapeno-Popper Stuffed Chicken on the left; one 2-serving-size Chicken Cordon Bleu on the right. 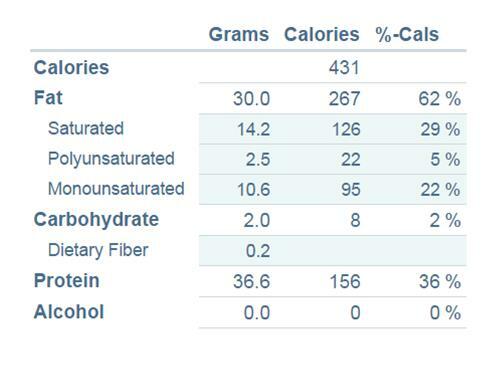 I used an 8-ounce chicken breast, so I calculated this based on 4 ounces of chicken, two pieces of bacon, and half of the cream-cheese mixture. This sounds like something I need to try. Looks delicious. Dad would definitely be more likely to eat chicken with bacon wrapped around it.